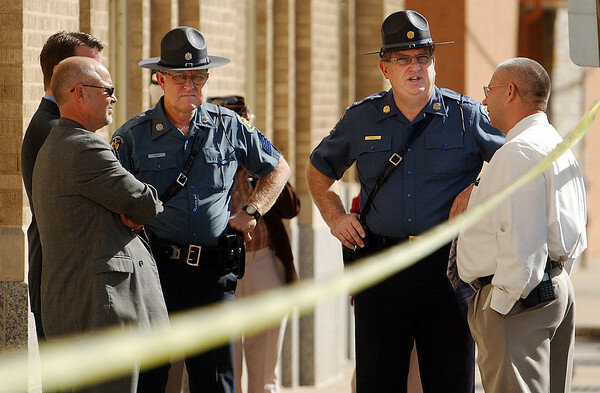 Joplin Police Chief Kevin Lindsey speaks to two Missouri State Highway Patrol troopers and other personnel across the street from Memorial Middle School Monday morning, Oct. 9, 2006, following a shooting at the school. They were awaiting the arrival of Gov. Matt Blunt.